… Gathering Info on the Newest Products! I’m very excited to be heading to Natural Products Expo West 2017 tomorrow. While this show includes education, events, and an extensive natural products trade show, running March 8th through March 12, I’m sure there will be oodles of foraging opportunities to gather health info and product exposure and knowledge. I can’t wait to bring what I learn back to you! 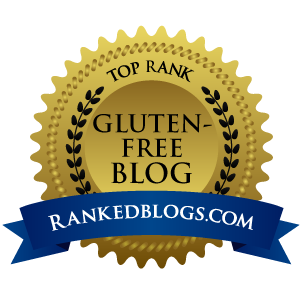 I’m specifically foraging for all things gluten-free, dairy-free, soy-free, peanut-free, and healthy! But I’m not opposed to learning about anything chocolate too! If you will be exhibiting at or attending Natural Products Expo West 2017 and would like to reach out to me, please don’t hesitate. I’d love to hear from you and meet face to face. Be sure to send a direct message to me via my Instagram account @dailyforageglutenfree, or via Twitter @DailyForage, or share as much detail as you’d like about your fabulous product that I just should not miss by sending an email to Connie@DailyForage.com. If you’re one of my readers and would love to learn more about a product that perhaps you’ve heard about just briefly and are curious about, reach out to me via one of the channels above. I’ll be happy to check it out for you! It’s a BIG show, and not open to the public. With my Press pass, I can get you the inside track! Discovering safe food – and products – is always a journey and I love sharing my discoveries (edible and otherwise) that make our lives safer, more delicious, healthier, and fabulously fun with you! Thanks for joining me on this journey to thriving. Was delighted to hear that you were at the Expo! We were there too and would love to share our(Gluten Free) Big Square Cookies with you. We go every year and it’s aways amazing! Please give us a shout and let us know where to send out cookies!